1. Does it have your product name sprinkled throughout? 2. Does it focus on what your product does and describe features? 3. Does it use technical terms and acronyms? If you answered “yes” to at least one question, your content might be the one to blame. So it’s time to clean up the house. A. The CFO doesn’t want another financial management system, she wants month-end closings to happen faster and without errors. B. The VP Sales doesn’t need a new CRM system, he needs a better way to keep in touch with current opportunities and gain better visibility into the pipeline. C. The Marketing Manager is not looking to replace the email software, she wants a better way to generate qualified leads. Sometimes marketers and especially product marketers suffer of what I am going to call industry-induced content myopia. Just because every other vendor in the industry uses certain terms and creates certain types of content, it doesn’t mean you should follow their lead. Instead, take a breather, spend some time in another department, and ask for your 8 year old to review the latest customer case study you just published. Yes, is tough to create content that will rise above the noise, that will get picked up and shared, but creating content that talks about what the buyer really wants is a good first step. What are you waiting for? A guest post by Lior Levin. On the surface, content curation sounds like a great way to generate content with little to no time or effort. After all, you don’t actually have to write much new content, just find interesting items on the Web and point others to them, becoming a hub for all that’s relevant to your field. However, doing content curation well means a lot more than just plastering your site with a bunch of synopses and links. Doing content curation right takes a lot of time and requires almost as much investment as creating original content. Doing content curation poorly, though easy and quick, is often seen as spam and is likely to raise copyright and plagiarism issues for you. On the other hand, proper content curation can be a powerful tool for both building your site and driving traffic to it. In fact, in the best possible cases, it can make you an indispensable part of your niche’s ecosystem. So how do you curate content in a way that both attracts visitors and makes you a hero to your peers? Here are a few tips to help you get started. If you want respect from your community, you need to do more than simply share their links. You need to create at least some original content and, equally importantly, connect with and interact with those around you. Instead of just linking to a post, take the time to comment on it as well. Interact with other webmasters on social media and encourage them to send you interesting links. The more you contribute and interact with the community, the more they will respect and embrace you. That embracing not only makes the environment less hostile, but it also opens up new opportunities for cooperation that can make your offerings truly unique. Be careful about what you use and how you use it. Remember that the works you’re referencing are copyrighted and other webmasters, if they feel they are being infringed, may come after you. Use only what you need, short snippets of text (usually under 50 words), headlines and links should be more than enough. If you find yourself writing a 400-word summary of a 500-word article, you likely need to rethink your approach. Also, always attribute everything you use. Not only is it the right thing to do ethically, but it keeps you from making enemies needlessly. When you have a site or service that seems perfectly relevant to your topic, it might be tempting to grab everything that it posts by RSS or another automated tool. The benefit a curator brings to a niche is human involvement. If you’re not selecting the best posts to share, you miss out on adding value to your readers or community. Anyone can subscribe to a site via RSS, and no site is going to be 100% relevant. In short, automatically shooting out everything that a site or a group of sites puts out is not only very spammy, but it is of no benefit to the reader or the community. While this is great advice for any site, it is even more true for curated content as curation is about convenience. You don’t want to make your readers work for your content so it’s important to be where they are. Have an audience that spends a lot of time on Reddit? Be on Reddit. Are they active on Facebook? Be on Facebook. Don’t be afraid of multiple platforms as the time needed to add a Tumblr or a Twitter is fairly minor. On the other hand, don’t be afraid to ditch services that aren’t working out for you. How much are you going to post? And When are you going to post it? Readers need this information so they know what to expect from your curation and know if they want to subscribe. Create a plan and stick to it. Whether you want to curate ten links weekly about whales or five articles a day about modern medicine, tell your readers what to expect and deliver reliably. In the end, great curation is a lot of work, but it’s that work that adds value to the reader and the community. Bad curation is, at best, mere spam and at worst copyright infringing. As a curator, you can’t afford to be a parasite as you need a healthy, welcoming community for your efforts to thrive. So don’t look for shortcuts with your curation efforts and, instead, focus on providing the best value you can, especially over the long haul. Your community, your readers and even the people you link to will all thank you and reward you for it. This guest post is written by Lior Levin, a marketing consultant for a neon sign store that offers a variety of custom neon signs for businesses and individuals, and who also consults for a company that specializes in a to do list app. 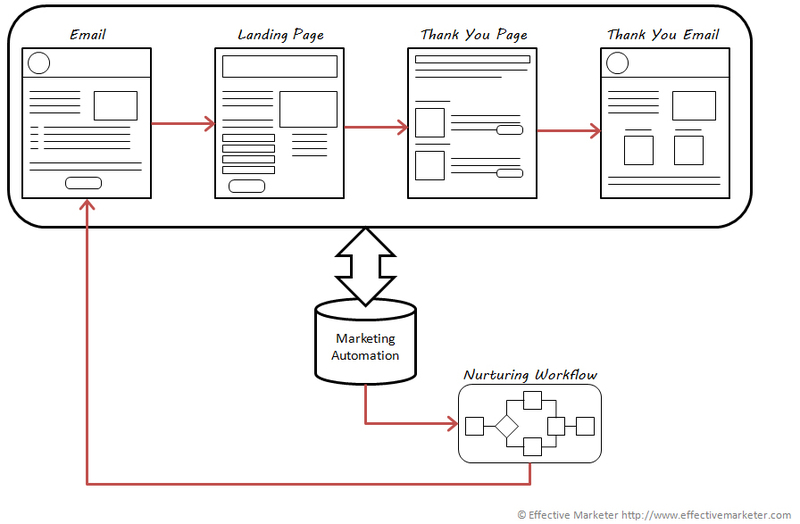 The fact that Inbound Marketing is taking over traditional marketing methods is not news. It seems that every eBook, blog post, and webinar is now touting content marketing and inbound marketing as the go-to strategies for the new marketers. Marketing is evolving, there is no denying that. But for those out there in the trenches, trying to follow all the advice and get their marketing engines running it is not that simple. Sometimes, despite your best efforts you can’t seem to move the marketing needle enough. Marketo‘s new whitepaper, “Amplify Your Impact: How to Multiply the Effects of Your Inbound Marketing Program“, takes a different route from others out there. I was pleasantly surprised when they decided to attack the core of the problem by saying “It can be common for organizations that implement an inbound marketing strategy to see an early lift. However, while early results are strong, the leads can dwindle to a trickle“. 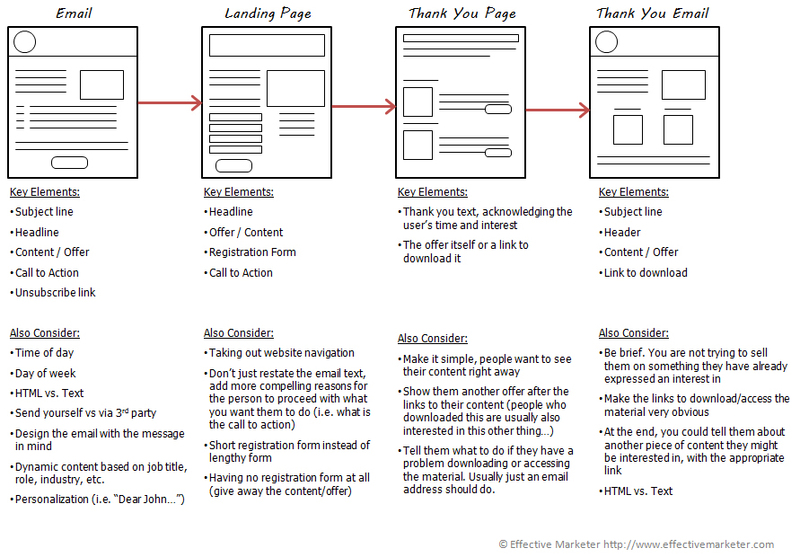 That’s not your typical Inbound Marketing whitepaper! The quote above, from Marketo, is the key for your inbound marketing troubles. The combination of the right programs based on their effectiveness for your particular situation is what will generate the best results. And, according to Marketo, outbound programs have their place in your marketing arsenal. They explain that while inbound marketing supports your newly created content by sharing it on social channels, making it faster and easier for your content to be found, outbound marketing (paid sponsorships, banner ads, etc. )can help you further spread the word about the content and multiply the number of new views you generate (and thus the number of shares, likes, etc.). The free whitepaper is worth a read. The part where they talk about inbound marketing campaigns gone wrong can give you some interesting food for thought and help you rethink how your own campaigns are being setup. Note: This is a guest post by Lior Levin. See Lior’s bio at the end of the article. For a marketer, email is possibly the most powerful medium ever created. In addition to be instantaneous and simple, it’s a personal medium that can be tailored to every person, it’s opt-in, meaning that you’re reaching an already-engaged audience and, best of all, the cost of sending each email is effectively zero. However, the problem with email marketing is that it’s very much like a relationship, difficult to keep the excitement and enthusiasm up for a long period of time. This is true for both the marketer and the recipient. So how can you help keep that spark alive when sending email after email? A lot of it comes down to simple creativity. However, there are several things you can do to revitalize a dull campaign and re-engage both yourself and your audience with your email marketing. If an email campaign is a relationship, then every great relationship starts with communication. You need to take a moment and listen to your subscribers. Take time out from your regular email campaign to have your readers fill out a short survey and learn what they want out of your emails. You might learn that there are whole directions you haven’t explored or that there are topics of interest you haven’t talked about yet. Aside from that, getting your readers engaged and making them feel as they have a voice in the newsletter makes them more likely to stay and more likely to pay attention to what you send out. People love contests and they get excited about the prospect of winning something. Whether it’s a contest for a large prize, a coupon to a certain percentage of subscribers or something else altogether, contests are a great way to generate buzz and interest in your email campaign. Contests work especially well if you couple them with promotion elsewhere, offline and on, and can be even more effective if you reward your readers for attracting new subscribers. But even if you can’t do anything grandiose, a simple contest is a great way to renew subscriber interest and improve your metrics. Just be careful to follow all relevant laws. Sometimes reviving a dull relationship is as simple as saying “Thank you”. Offer a special deal to your readers just for being on your list. Give them something that makes them feel important and like they are your most valuable customers just because they are on the list. This reward doesn’t have to be something large, just something unique that is only available to subscribers. Whether it’s a small percentage off, early access to new merchandise or a free download, anything that makes your subscribers feel as if you’re catering to just them will help keep their interest and their loyalty. Ideally, the more information you have about your audience the better. In addition to their name, email and other contact info, you ideally should know at least some about their interests, especially if you’re in a business that has a variety of products catering to many different types of customers. However, even if you don’t have that information, you can still target your subscribers by publishing themed emails aimed at one or two specific segments. The idea is to talk directly to a part of your audience and engage them deeply. Though your other subscribers will likely ignore the email, you will come back and reach out to them another day. All in all, segmenting your audience and reaching out to them is a great way to make your emails more relevant, interesting and useful. Revamping your site’s template is a long, difficult process that involves changing out multiple parts and, possibly, confusing a much larger audience. With your mailing list, you can make changes a great deal easier and, with the smaller audience and lack of search engine visibility, the risks are less. So, if your campaign seems stale, it may be time to revamp your email template. Not only is this a chance to add new visual appeal, but you can also add new features such as a fast fact, a relevant quote or a promotion. In short, if you’ve been using your old email template for a while and would like the chance to bring in some new content, a new template might be just what you need. Of course, if you’re going to do any of the above changes, you want to test them as thoroughly as possible. Most email service providers offer an easy way to split A/B testing where you send out slightly different emails to various groups and see which are the most effective. This allows you test one variable at a time, such as a new subject line or a tweak in the template. 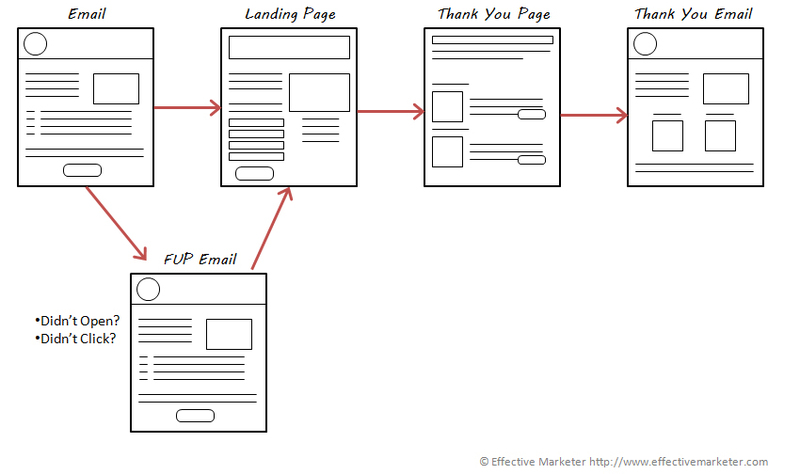 However, even if you can’t do A/B testing, you can achieve the same result by changing the emails you send out between mailings. Basically, by making small changes every mailing and closely tracking results, you can hone in on things that improve your response. In the end, the only thing that is required to keep the interest and spark in your email campaigns is a willingness to try new things and to engage with your audience. If you can do those two things, there likely won’t be a single boring week for your newsletter. It does mean, however, that you have to be vigilant with your campaign and, even if things seem to be going well, you have to be willing to take a risk. With email, if your campaign isn’t moving forward, it’s stagnating and a stagnating campaign is a dying one. This guest post is written by Lior Levin, a marketing consultant for a company that offers a to do list application for businesses and individuals, and who also consults for a company that convert psd to html format.